The function of respiratory system effects body health heavily. 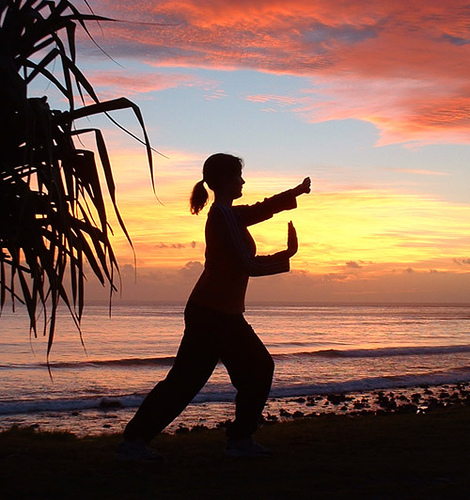 A number of research results show that practice of tai chi is able to effectively enlarge the vital capacity, improve lung organization structure, and cure many respiratory system diseases. Through observation, we found that the vital capacity of pulmonary tuberculosis patients who practiced Tai Chifor a long time has been greatly mcreased, Tai Chialso a good remedy for many kinds of diseases like chronic bronchitis, emphysema and so on. Further research shows that: observing under X-ray, up and down movement range of diaphragmatic muscle has been enlarged by two or three times when a person practises Tai Chi, this shows that Tai Chiis able to significantly improve the function of respiratory system. Man Is God and Creator of the World?